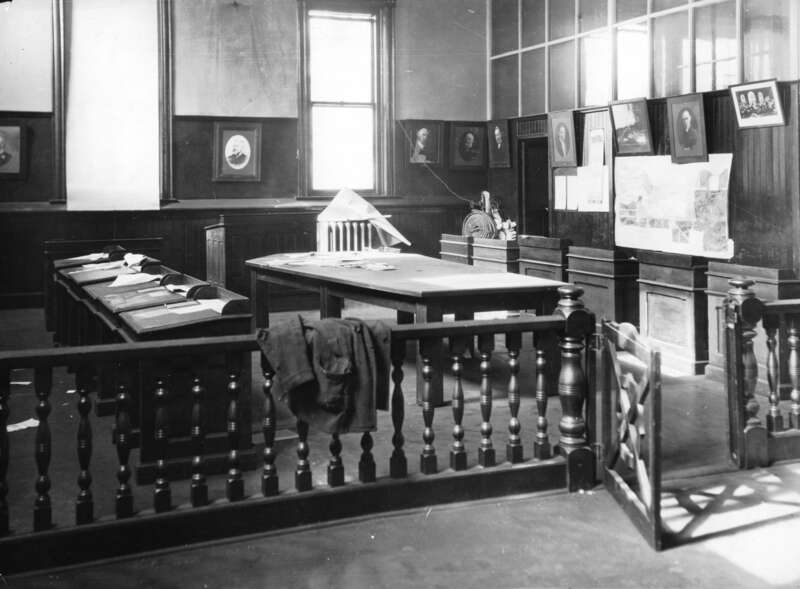 The invention of photography preceded the incorporation of Vancouver in 1886, which means that there are photographs of the first elected city officials, including the first mayor, and the first City Hall in our holdings. Later photographs capture significant milestones in Vancouver’s political arena. 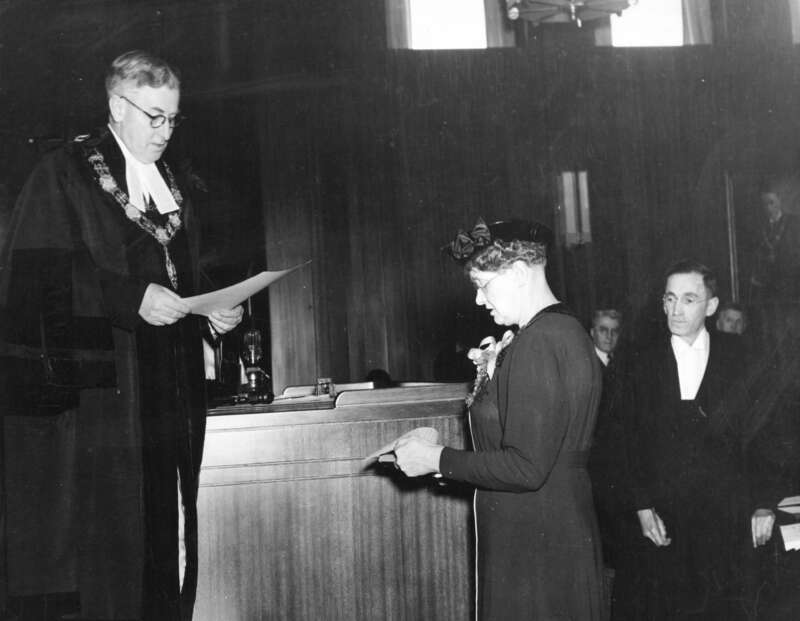 A photograph showing Helena Gutteridge, the first woman elected to City Council, taking her oath of office in 1937 represents one of these milestones. Other photographs featured include “Old City Hall”, located at 423 Westminster Street (now Main Street), the laying of the corner stone at the current City Hall in 1936, and a shot of a group of men taken that same year, who voted in Vancouver’s first election fifty years earlier. Other election items featured in the video wall show include Gutteridge’s nomination paper for Alderman, sample ballots, tallies of election results, and posters and postcards encouraging people to vote. This latest edition to our video wall shows will be exhibiting in the Archives’ gallery space, as well as in the City Hall rotunda across from the elevators during this election season. You can also view it on YouTube, along with past video wall shows. This entry was posted in Holdings and tagged photographs, video wall. Bookmark the permalink.